It has been one of the busiest years in recent history for A Squadron 3rd/9th Light Horse (South Australian Mounted Rifles) with a multitude of training activities, external courses supported and members deploying with Rifle Company Butterworth on more than one rotation. 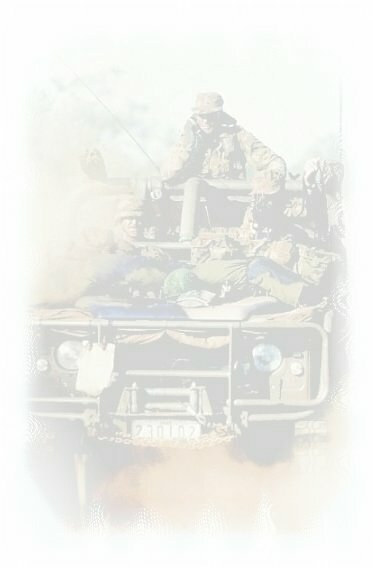 That said we consolidated our Cavalry capability enabled by Bushmaster Protected Mobility Vehicles (PMV) and remained focussed on enhancing our Cavalry Scout training to enable support to both the reinforcing Battle Group, Battle Group Jacka, and the Regular Army's 1st Armoured Regiment (1AR). To this end, A Squadron operates three cavalry troops, each with a dedicated section of Cavalry Scouts. An increase in the number of available PMVs and greater ability to attend PMV driver courses has facilitated the growth of the Squadron, but a solid foundation of dismounted reconnaissance skills continues to underpin each position. A Squadron provided a cavalry capability to Battle Group Jacka and conducted PMV lift tasks on Exercise Jacka Walk, which was conducted in October 2018. This provided an excellent opportunity for the Squadron to work alongside 4th/19th Prince of Wales Light Horse in a 10-vehicle collective organisation. This "troop" provided lift capability, and conducted screening tasks and linear replenishments during the field training component of the exercise. This was followed by the conduct of support by fire and cut-off tasks in support of multiple platoon attacks during the live fire component of the exercise. The exercise also provided the opportunity for soldiers to train for the next stage of their career progression, with drivers being able to practice crew commander roles and navigation skills as part of concurrent training. A Squadron has also enhanced the capabilities of the Regular Army's 1st Armoured Regiment (1AR) by providing Cavalry Scout sections to support 1AR on Exercises Predator's Crawl, Predator's Walk and Predator's Run, which were held in March, June, and October 2018 respectively. These sections were commanded by Corporal Craig Tanti, and Lance Corporal Benjamin Halls, and these exercises provided great opportunities for the Squadron's Cavalry Scouts to improve their skills in areas as diverse as establishing observation posts; conducting point and close target reconnaissance; completing defile drills; and conducting the all arms call for fire. The continued development of these and other foundation skills will ensure that A Squadron can continue to provide enhanced capabilities to 1AR and 1st Brigade during the remainder of the Readying Year in 2019. In addition to these exercises, A Squadron's soldiers continued to increase their skills by training on the new EF88 weapon system, completing the new Army Combative Program (unarmed combat training), and training in the use of the new Multi Rotor Unmanned Aerial Vehicle surveillance platform. A Squadron also increased its number of PMV-qualified drivers during 2018, which will serve to increase its ability to generate directed capabilities in 2019. One of the Squadron's focuses in 2019 will be the continued development of soldier skills to fully utilise the BMS command and control functionality. Members of A Squadron competed in the Australian Army Skill at Arms Meeting (AASAM) in April 2018, as well as the Simpson Trophy (a 9th Brigade led) shooting competition in September 2018 as part of the 10/27 Battle Group combined teams. A Squadron also supported the Australian Defence Force Academy (ADFA) at Holsworthy Barracks in May 2018 by providing a 4x PMVs and crew to enable crucial vehicle-based training for Regular Army Officer Cadets. In addition A Squadron also supported the development and training of all ranks through continued support to rank and trade, promotional, and driver courses. This continues to ensure that the skills and knowledge of the Squadron's senior and junior non-commissioned officers are passed to other members of the unit. The tempo of training, activities and support could not have been sustained if not for the hard work and dedication of all members of A Squadron both full-time and part-time, who have all been asked to do more than ever before.